WOW!! SPECIAL OFFER BUNDLE DEALS!!! These Special bundle offers will make ideal Christmas/Birthday presents……give it all to one person, or split and you have 2 separate presents, both of which will have their own special gift bag. 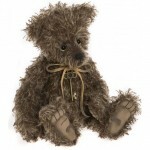 So Many Charlie Bears In Stock Now!! 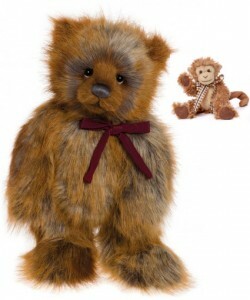 I’ve opted to show a few of the Charlie Bears 2018 Collection and they are all in stock now! From Left to Right we have Lares, Caroline, Shane and Taggle. 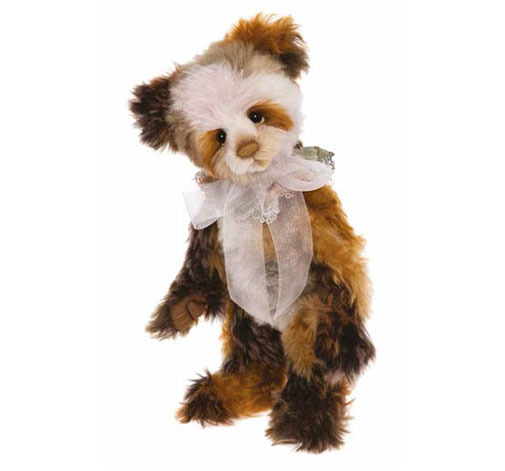 I have listed below how many Charlie Bears we had in stock for immediate delivery at the beginning of May - just ‘Click’ on the required section name to go straight to our page. 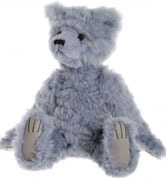 And don’t forget that for all of the above collections we also take pre-orders for any bears still to be delivered to us. 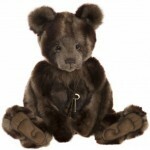 Each collection has its own pre-order section on our website and no payment is required until the bear arrives with us. They can be pre-ordered online or drop us an email or kindly telephone. Charlie Launch Update - All Images Available!! Great News!! Charlie Bears have just released all of the images for the new 2018 Collection! 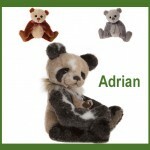 We have just updated our site, so you will now be able to view every new bear. 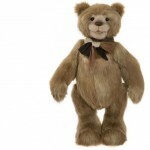 We have also provided a detailed description for every new bear and in addition there is a note of the anticipated quarter that each bear should arrive with us. Charlie Bears have provided these dates to help us all plan a little better, but at the same time they have reminded us that this is just an indication and they will do their best to keep to this, but of course there is always the chance that something happens or causes a delay that is out of their control. 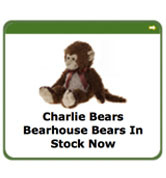 New 2018 Charlie Bears Collection Just Launched! We have been informed by Charlie Bears that this year the Bears are being launched in 4 separate quarters throughout the year. 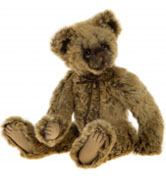 This means that although we have listed and described every bear in the collection, at this time, we have only been permitted to show the images for the Bears that form part of the 1st Quarters collection e.g. 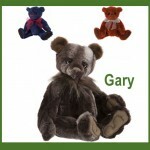 more images will be released by Charlie Bears at the start of each quarter, throughout the year. At present, the only way of seeing all the images for the whole collection is by viewing the Collectors Catalogue 2018. Supplies of this catalogue will arrive with us next week (w/c 5th Feb). For anyone local to us, we do have a copy in store that may be viewed. 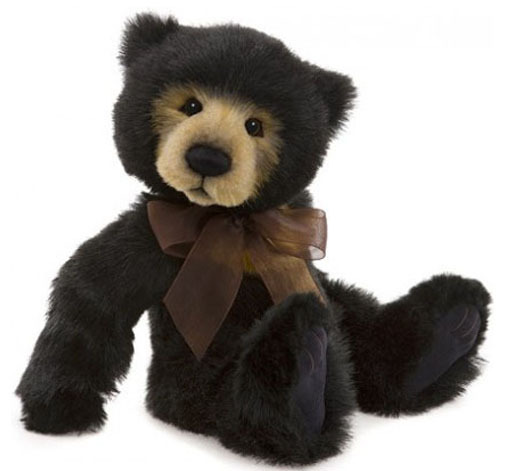 For every new bear in the new Charlie Bears Collection, we have provided a description so that you have an idea of whats coming later in the year. As always, every bear can be pre-ordered and of course we’re happy for you to contact us to chat and find out a little more about a particular bear, but as previously mentioned the only way of being able to obtain an image for some of the bears, is to get your hands on a catalogue or wait until Charlie Bears launch that particular Bear! The idea is that if a photo of a Bear appears, then that bear is due to arrive with us during that quarter, so hopefully helps you to plan a little better. Charlie Bears will do their best to keep to this schedule, but sometimes delays occur that are outside of their control, so please note - This is not definitely guaranteed, and the dates provided simply give an indication of when you can expect that bear to arrive. Just leaves me to say, Happy Browsing!! 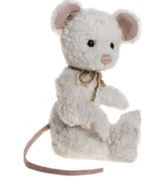 A Charlie Bears Mina Monkey Keyring (normal retail ֲ£9.99) FREE with every Gingerbread Ted purchased from us. 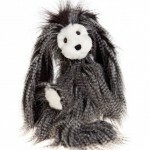 Gingerbread Ted has a gorgeously thick, long-pile coat with ginger and grey tones. 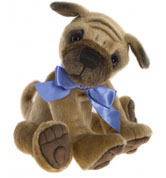 He has a sweet, round face, with a bold, hand-stitched nose and twinkling, expressive eyes. He wears a deep red bow that compliments his colouring! 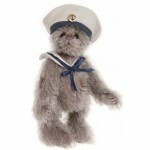 He retails at ֲ£68.00 and like all of our bears will be sent by Royal Mail 1st Class. 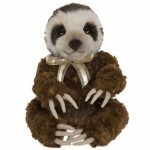 The Mina Monkey will automatically be added to your order and will be received boxed with your Gingerbread Ted. On Saturday 18th November 2017 & Special Birthday Bear!! We will be holding our annual Charlie Bears Birthday Party in the shop on Saturday 18th November, to celebrate their 12th Birthday. The fun starts at 10am, when the shop opens and the mystery Birthday Bear will be inside, in sealed boxes, so come along and join in the excitement and see who is in the box????????????? Please ideally call if you plan to come along, as cakes will be made for people who let us know in advance, but you are welcome to just turn up on the day. 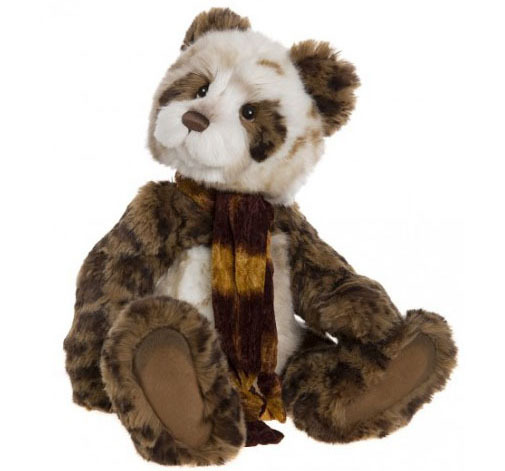 We will reserve a Birthday Bear for you, if required and if we have any spares after the party, then these can be posted out, so let us know if you would like to go onto this reserve list. Left to Right, above - Tia ֲ£28 (was ֲ£54), Bryony ֲ£30 (was ֲ£46), Chequers ֲ£28 (was ֲ£45) & Sergio ֲ£30 (was ֲ£47). 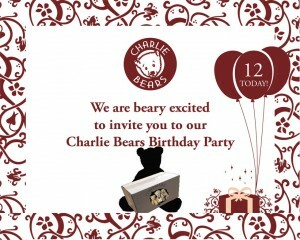 Just tap on the image or name of the Charlie Bear for more details. We also have (not pictured) Herbs ֲ£33 (was ֲ£48), ֲ Hinckley ֲ£33 (was ֲ£48) & Stuie ֲ£30 (was ֲ£46) - again just click on their names for more details. The Charlie Bears Book 2nd Edition has arrived and after downing tools for a sneaky read I can confirm it’s another great book for any Charlie Fan and simply full of so many of our favourite bears. 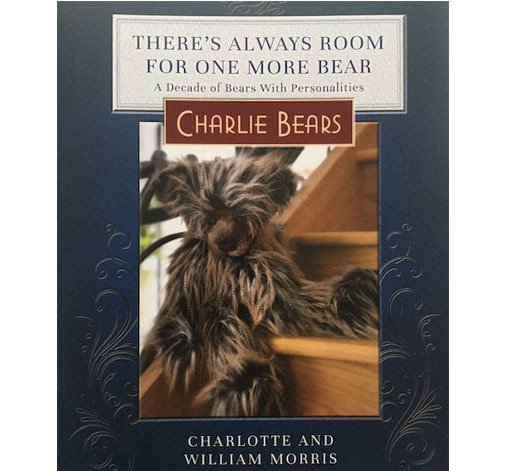 The book looks back on the 5 years leading up to the Charlie Bears 10th birthday celebrations. 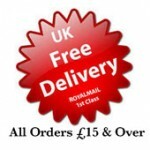 Just ‘click’ on any of the images or names for further information or to order. A Good Selection Just Arrived From Charlie Bears!! 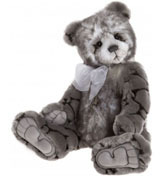 We have just received the following Charlie Bears from the 2017 Collection and after fulfilling Pre-Orders we have a few available so why not take a look by clicking on their images or names. They are Biscuit, Nellie, Peeps, Pipsie. 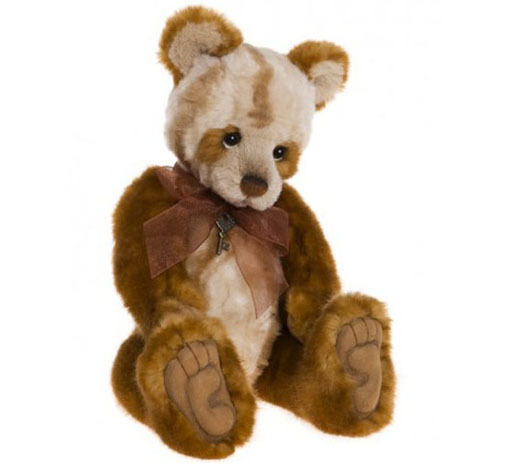 Below is Shani, another new Charlie Bear from the 2017 Collection. 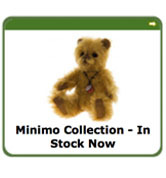 We have also moved more bears to their relevant ‘In Stock For Immediate Delivery’ section so again just click any of the images/sections below to see our full choice of bears awaiting a new home!! 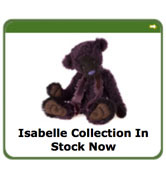 We currently have a great selection of the Isabelle Collection In Stock For Immediate Delivery. 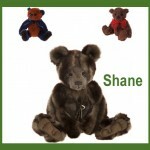 Why not take a look as, at the last count there were 20 different Bears to choose from!